Call Time at the ABS-CBN Audience Entrance along Eugenio Lopez Drive is 3:00PM. Present your ticket with barcode upon entry. Cut-off time is at 4:00PM. Failure to arrive will disallow you to book for the next 3 months. Please be advised that taping schedules may change. You will receive a notification from KTX should there by any update on your booked schedule. 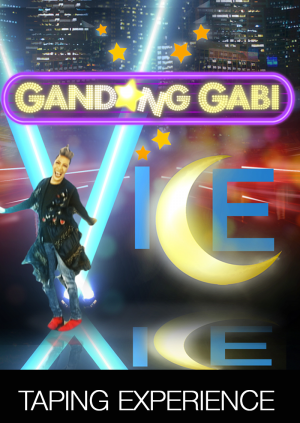 Unkabogable Vice Ganda headlines this revolutionary show that gives the feel of a comedy bar and a television sitcom, the wit and humor of a talk show, and the fun and entertainment of a variety show! 6. Guests below 17 years old, pregnant women and persons with heart conditions shall NOT be allowed to be part of the audience. You may be required an ID upon entry.